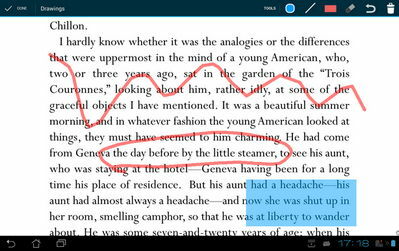 Read your ebooks directly on Android with EBookDroid PDF & DJVU Reader (no ads). The app includes all the tools needed for a productive reading experience. It features text selection and highlighting, notes, various fonts, and support for most ebook formats. EBookDroid 2.5.0 can open DjVU, PDF, XPS (OpenXPS), FictionBook (fb2 and fb2.zip), Comics Book formats (cbr and cbz), EPUB, RTF, MOBI and AWZ3. Please note: this app uses MIME types to handle different file types. If you can't open some ebook format, find out how to to add new MIME types and associate them with the corresponding file extensions in your file manager. for more info, read the FAQ! This latest version Updated December 31, 2017 fixed and added some features!